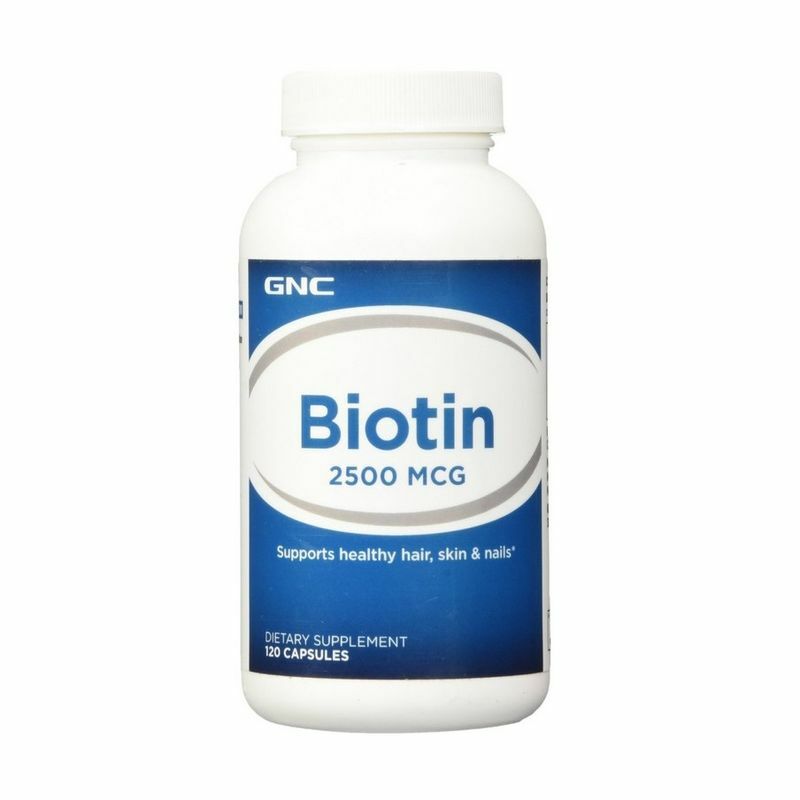 GNC Biotin 2500mg Cap 1x120 provides 2500 mcg of biotin per serving, our highest potency biotin product. 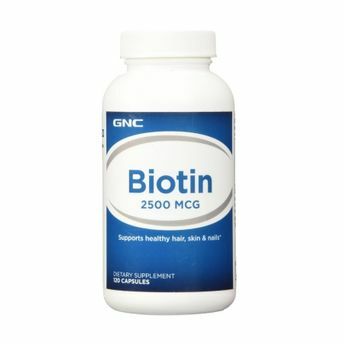 Biotin is a water soluble B-vitamin found in brewer's yeast, cooked egg yolks, meat and poultry. Aids in normal cell growth. Provides support for normal protein metabolism. Provides dietary support for healthy hair and nails.